Aimee was born and raised in Houston, TX and attended the High School for the Performing and Visual Arts with a focus on dance. She graduated from The University of Texas School of Nursing with a BSN and a focus on cardiac intensive care, which turned into an interest in neonatal nursing upon graduation. Six weeks after getting married, she accompanied her husband to Japan for a three-year assignment. In Tokyo, she immersed herself in the diverse aspects of Japanese culture. Although she first discovered Pilates in 2003, it was a life-altering health crisis in 2010 that turned her focus to healthy lifestyle choices through diet, meditation and exercise. 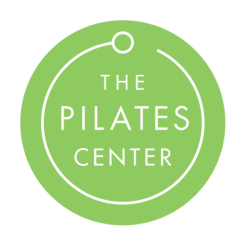 By 2013, Aimee began to recognize the immense benefits of the core strengthening she gained with Pilates, which led to a more intense study of the BASI Pilates method. She is now embarking on a second career and is committed to sharing the benefits of Pilates with others.